WASHINGTON (AP) — Declaring it’s “very clear” President Donald Trump obstructed justice, the chairman of the House committee that would be in charge of impeachment says the panel is requesting documents Monday from more than 60 people from Trump’s administration, family and business as part of a rapidly expanding Russia investigation. In a tweet on Sunday, Trump blasted anew the Russia investigation, calling it a partisan probe unfairly aimed at discrediting his win in the 2016 presidential election. “I am an innocent man being persecuted by some very bad, conflicted & corrupt people in a Witch Hunt that is illegal & should never have been allowed to start – And only because I won the Election!” he wrote. 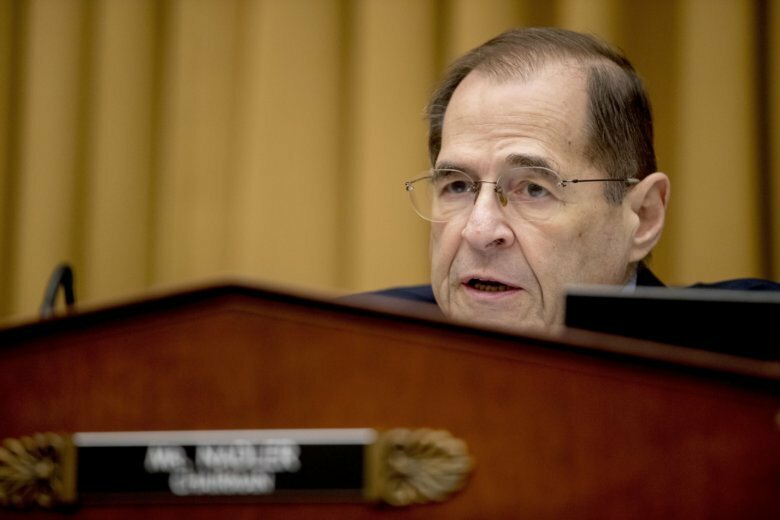 Newly empowered House Democrats are flexing their strength with blossoming investigations. A half-dozen House committees are now probing alleged coordination between Trump associates and Russia’s efforts to sway the 2016 election, Trump’s tax returns and possible conflicts of interest involving the Trump family business and policy-making. The House oversight committee, for instance, has set a Monday deadline for the White House to turn over documents related to security clearances after The New York Times reported that the president ordered officials to grant his son-in-law Jared Kushner’s clearance over the objections of national security officials. He pointed to what he considered several instances of obstruction of justice by the president, including the “1,100 times he referred to the Mueller investigation as a ‘witch hunt'” as well Trump’s abrupt firing of FBI director James Comey in 2017. According to Comey, Trump had encouraged the then-FBI director to drop an investigation into former national security adviser Michael Flynn. Trump has denied he told Comey to end the Flynn probe.